Courtesy of Chris Morgan [see video below], Head Coach, Gator's Swim Club (2015 New England Senior Swimming Championship Team). We work on speed, strength and stamina every workout at the Gator's Swim Club in Waltham, Massachusetts. 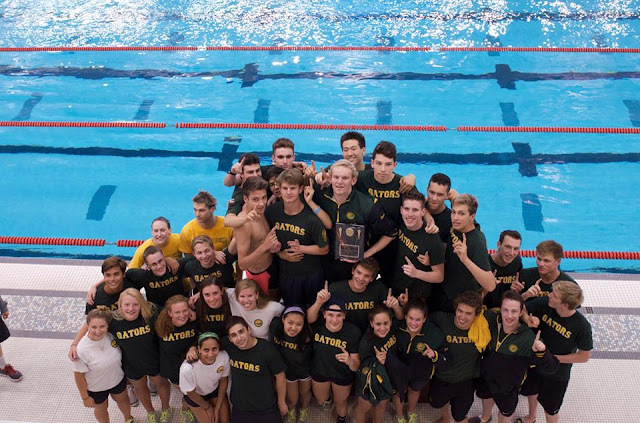 Like other competitive age-group swim teams, the Gator's augment those hard training sessions with a focus on proper technique, good balanced nutrition, and all kinds of “outside the box” dry-land training. KAATSU is the secret advantage that Olympic and professional athletes from Japan, and increasingly in the U.S., Switzerland and Hungary, have been using to gain specific strength in order to improve speed and increase stamina. Years ago, Olympic champion Misty Hyman from Stanford University did something vaguely similar. The 200m butterfly Olympic champion in the 2000 Sydney Olympic Games placed several thick postage rubber bands around her arms and legs. She would at times swim as much as 8,000 meters with the bands at AFOX in Arizona under the guidance of its coach Bob Gillette as a high school student. Her unusual training method started in Arizona as a top age-grouper and continued at Stanford University under Richard Quick [where I served as an assistant coach]. But we learned from Dr. Yoshiaki Sato and our KAATSU Global colleagues that very specific pressures with carefully engineered pneumatic bands used in short durations is the key to significant improvements in speed, strength and stamina. We use the KAATSU Master and KAATSU Nano devices to identify two types of specific pressures (called Base SKU and Optimal SKU where SKU stands for Standard KAATSU Unit). These pressures are specific for each athlete that can vary from day to day and workout to workout. Those specific pressures, that vary from athlete to athlete, are how our athletes have maximized the benefits of KAATSU or "blood flow moderation training". Invented in 1966 and perfected by 1973 by Dr. Sato of Tokyo, the KAATSU inventor was honored by the Japanese Olympic Committee in 1992. Word eventually leaked out from Japan about KAATSU beginning in the 1980s and throughout the 1990s, but it was mostly adopted without knowledge of the Base SKU and Optimal SKU by the bodybuilding community. These bodybuilders, looking to achieve muscle hypertrophy, never understood the importance of using pneumatic bands or identifying Base SKU or Optimal SKU. Eventually, the bodybuilding community referred to using knee wraps and other sorts of restrictive bands as occlusion training or tourniquet training. But acceptance of the thick postage rubber bands or knee warps never took off in amateur or professional sports in the West. So for years, American and European bodybuilders simply tied knee wraps and other bands around their arms to build bulk based on 2D photos they saw of the KAATSU bands. In contrast to the specific KAATSU protocols to identify optimal pressures, bodybuilders tie their limbs using a pain scale from 1 to 10, with 7-8 being the recommended level of pain by various American researchers. This kind of simplified and frankly dangerous* means to occlude blood flow in the limbs was neither possible nor practical for age-group swimmers or older masters swimmers. In contrast to those focused on muscle hypertrophy, we wanted a proven, safe and effective means to help our athletes improve their speed, strength and stamina - not a means to get bulkier. 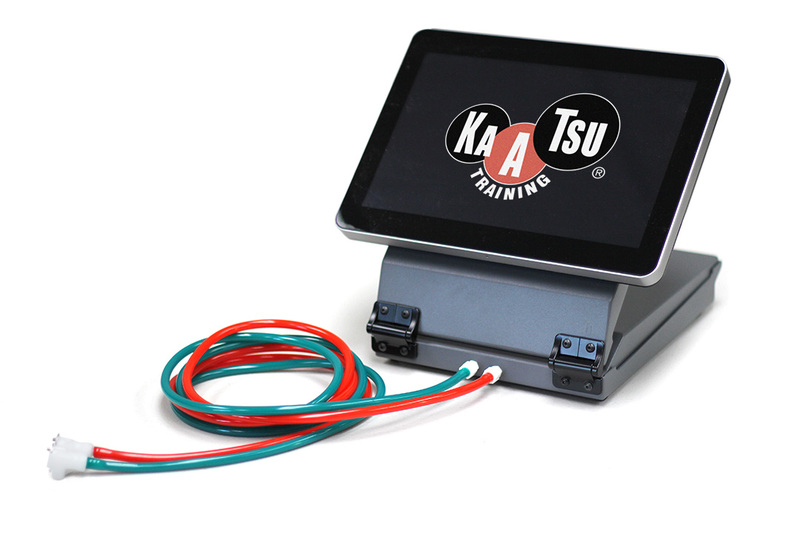 I quickly learned how we could replicate 'race pain' without the need for a time-consuming test set by using the KAATSU equipment. 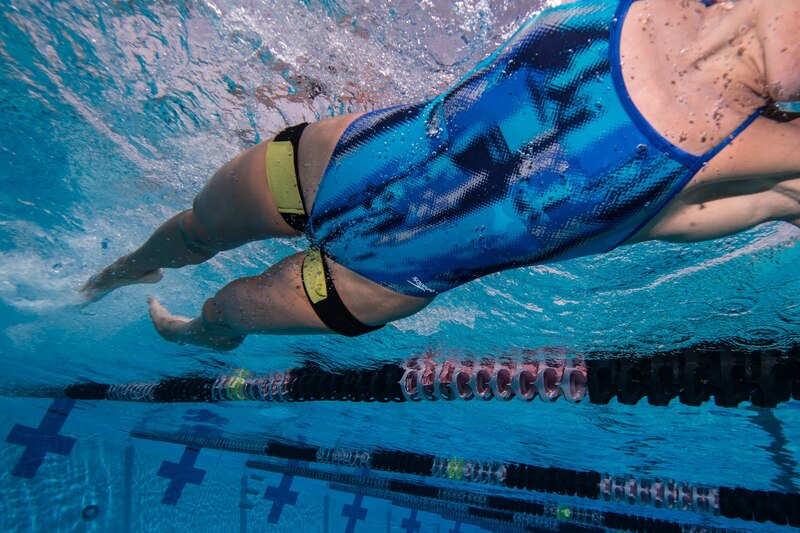 By engorging the muscles in blood (instead of keeping blood out like the bodybuilders and their knee wraps), I studied how this revolutionary training technique could be utilized by competitive swimmers whether they are focused on their local high school championships and getting into college or others like Roy Burch and Mohamed Hussein who have their eyes on the 2016 Rio Olympic Games. We use the KAATSU Cycle modality between races and between the preliminary and final events in a multi-day event (e.g., the 2015 Winter Junior National Championships in Atlanta, Georgia). We do a variety of sets with KAATSU in order to improve technique, speed, strength and stamina. None of these sets last over 20 minutes, as per the standard KAATSU protocols. 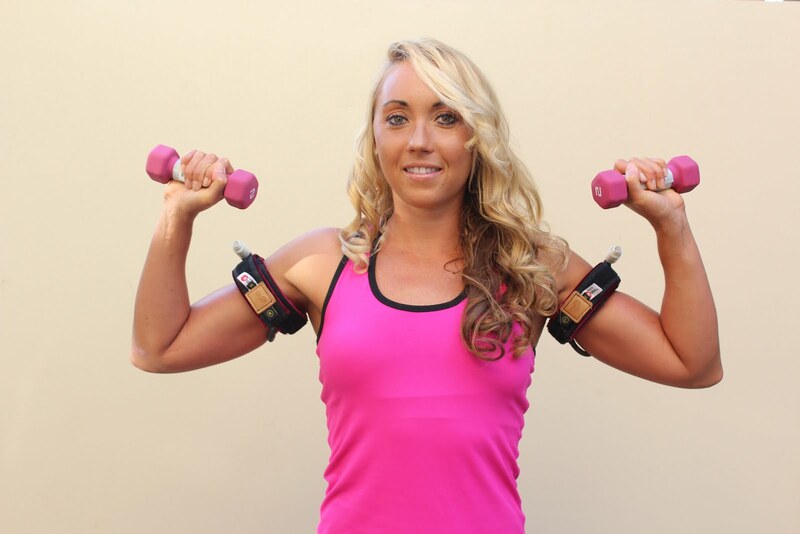 Some of the sets involve using arm bands and some of the sets involve using leg bands, including sets that exclusively focus on starts or turns. Not only have our athletes and their parents accepted KAATSU and appreciate its benefits, but we also have some of our graduating seniors requesting the KAATSU machines accompany them to their new collegiate teams. ** In 2013, I competed in a local Tough Mudder obstacle race. I used the KAATSU Master to improve my fitness level, but on the day of the event, at mile #10, I slipped on a log, smashed my side, and broke 2 ribs. For 7 days immediately after the injury, I used the KAATSU Master and KAATSU Air Bands as prescribed for broken bones. By day 7, the pain and sensitivity of the broken ribs had vanished. Ten days after the first x-rays revealed the broken ribs, I took a second set of x-rays that showed a complete recovery. Since that time, I wanted the athletes who I work with to benefit from a clear and methodical use of KAATSU.